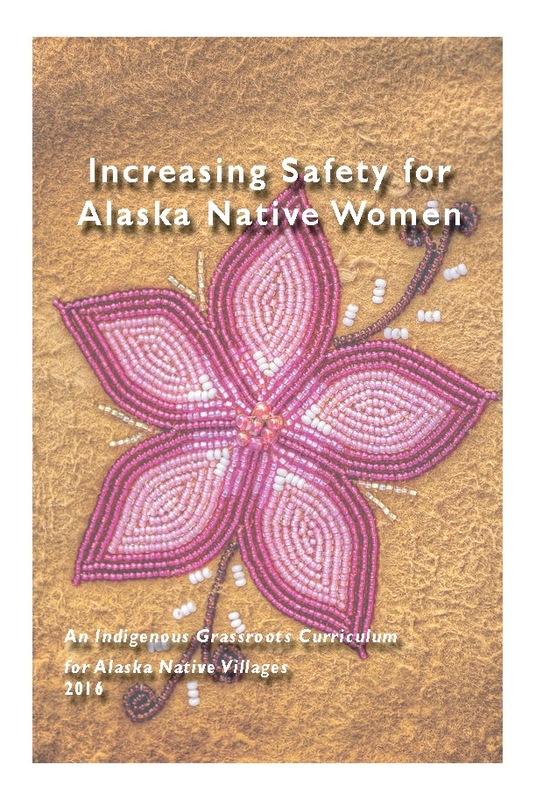 This curriculum was developed in partnership by three sister organizations: the Alaska Native Women’s Resource Center (ANWRC), National Indigenous Women’s Resource Center (NIWRC), and the Indian Law Resource Center (ILRC). 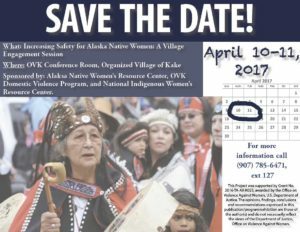 It is an important component of the future resources that AKNWRC will offer to Alaska Native Villages. 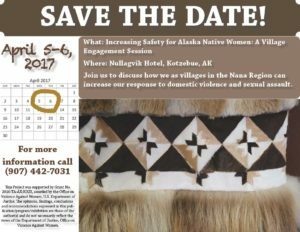 This project was funded by the Office on Violence Against Women, United States Department of Justice. The AKNWRC seeks to transform prior and current curriculums offered to Alaska Native Villages by compiling the collective knowledge of our villages, the violence experienced in them, and our experiences as Alaska Native women. This approach is a grassroots process of increasing the self‐reliance of villages, given the reality that most lack resources to address the current epidemic of violence and that three‐quarters of all Alaska Native Villages lack any law enforcement services.